Do you know you can really compress a 1 GB file into a 10 MB file? It is not a hoax or a spam…. I found this trick a few days ago and it worked perfectly. So, I am compelled to share this article –How to Compress a 1 GB File into 10 MB using KGB Archiver- A Real Trick with you. A software called KGB Archiver successfully enables you to compress a file at an extent from 1 GB to 10 MB. There are instances when your memory card, USB flash drives or hard drives run out of memory. Many a times, we find it difficult to share data or files due to shortage of storage memory. It becomes difficult to upload a 1 GB file on internet. But, you do not need to worry about these problems from now. This trick will surely help you and you could save a lot of memory. But before doing this, we must know the mechanism of compressing a file. Compressing is an art of reducing the size of a file without corrupting a single constituent system files. Though there are lots of software available on internet that can compress files and reduces its size, but the efficiency is comparatively low. One of the software is WinRar. WinRar can compress a file by 10% maximum. But by KGB Archiver, you can successfully compress a file by 90% efficiency rate. Also Read: How to Block a Website in all Web Browser of your Windows 7/8/XP/Vista: Easy Tricks. It is 100% free and easy to use. No crack, patch or serial key is required to activate it. It can compress at a rate of 90% efficiency. It can make a password protected compressed file. It has the ability of self-extracting archives. It is compatible with many extensions. One of them is .zip. The Unicode is supported in both file systems as well as in User interface. It is in many languages like English, Chinese, Russian, etc. Also Read: HOW TO INCREASE INTERNET SPEED. 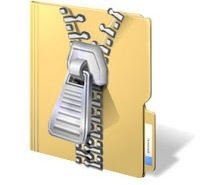 At first, Download the software KGB Archiver from the below links. Download KGB Archiver via CNET. Download KGB Archiver via Softpedia. After downloading the setup files, install it in your PC. Choose the option of Compress files and then click NEXT. Select the archive format as “KGB“. For better experience, choose maximum compression level from the default setting of Normal . Then, select the files to be compressed by clicking on “Add file” button. After selecting the files, click on NEXT. The file compression will start.It will take some depending on the actual size of the file. Wait for the completion and then you are done. NOTE: There is only one drawback. If you choose “maximum compression level” in the third step, then it will take longer time as it will compress it at slower rate for better quality. Also Read: How to Delete/Remove Autorun.inf Virus from USB or Hard Disk in Windows 7/8/XP/Vista. For decompressing the file, Use the same software to obtain the original file. But make sure that you have enough space for it in the destination directory.